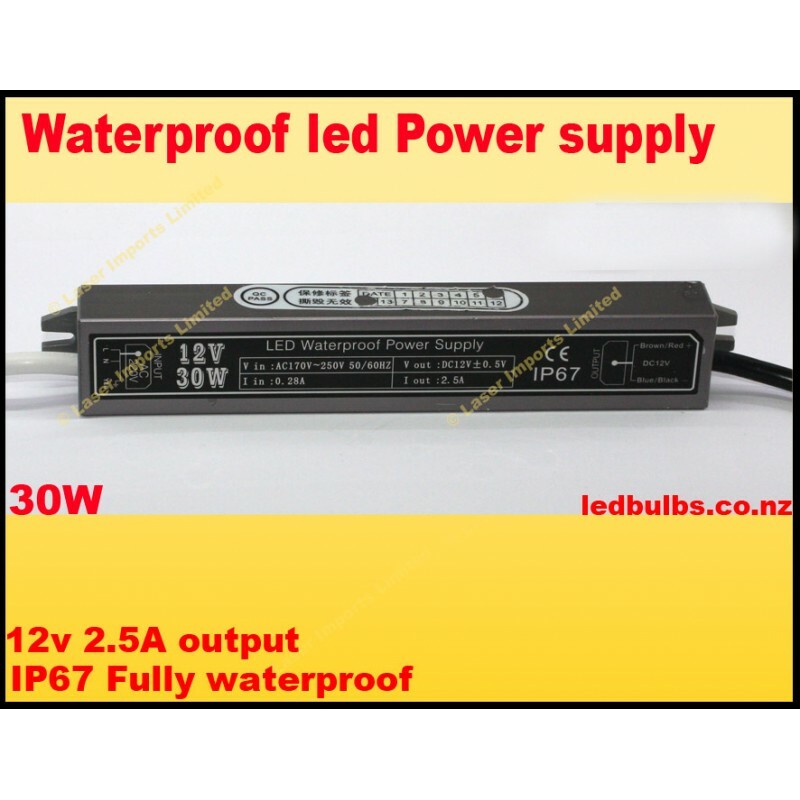 This can power 5 of our waterproof led strip lights connected together. Or 7 of our Mr16 leds. IP67 – This means that it is fully waterproof and can be used outdoors and in wet conditions. Great for use with refrigeration led lighting, outdoor lighting, garden and deck lights, CCTV power supply, indoor house lighting or anywhere where you need to mount a power supply indoor/outdoors.